Eight journalists from Indonesia, Timor-Leste, Fiji, Papua New Guinea and Solomon Islands have each produced a manual for reporting business and economics in their home country. The journalists, from print and online publications, took part in an AusAID-supported APJC program, Leadership in Reporting Economic Development, held in October and November 2012. At workshop sessions at the APJC, the group learned from senior journalists about the methods and tools needed for effective reporting on business and economics. Other presentations covered global economic development, poverty, and the impact of climate change on the Asia Pacific region. The group also took part in workshops on leadership and digital media. During professional visits in Melbourne, Sydney and Canberra, the group met editors, business leaders, academics, and representatives of development agencies and not-for-profit organisations. 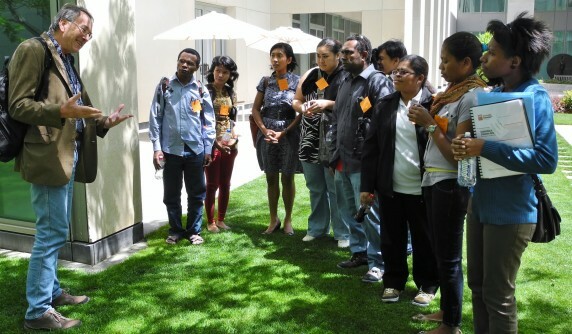 Fellows had professional attachments with news media organisations where they learned how Australian media is adapting to multimedia platforms.